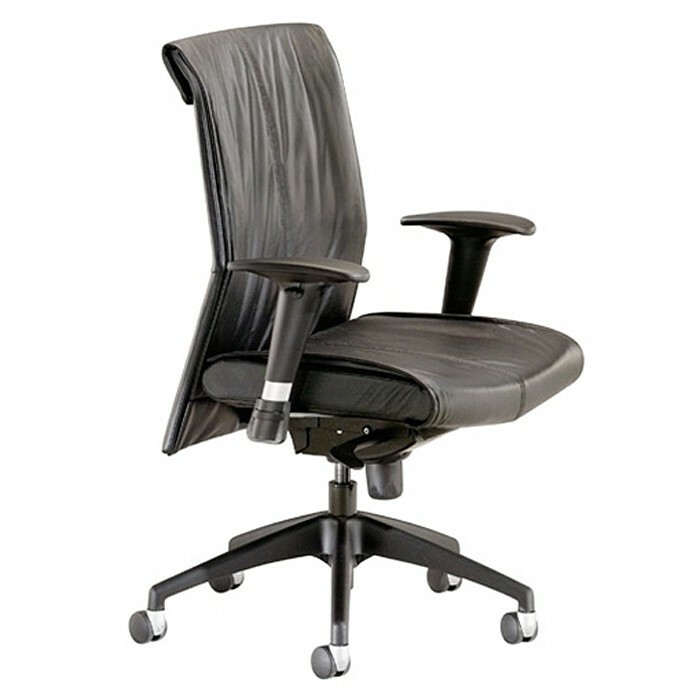 Touch Series Midback Synchro Leather Task Chair. Contempory task chair that doubles as an excellent conference or executive seating solution. Black Leather. Thunder Base. Synchro Task mechanism. Fully adjustable arms. Touch - Get in TOUCH with this contempory task chair that doubles as an excellent conference or executive seating solution. Comes standard with Synchro Task mechanism. The easiest ergonomic adjustments offered: one paddle controls the height and the other paddle allows the user to "free flow" or lock in five different back angles. 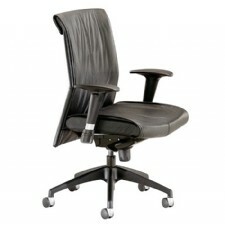 Sleek design combined with supportive curves in the lumbar creates a great look for any office. Choose between adjustable height and width arms for tasking or polished loop arms for conferencing. Only available in soft top grain Black leather. Synchronized tilting action allows the user's feet to remain on the floor as they tilt backwards. Seat Ht: ................................... 16" - 21"
This item only available in Black Top Grain Leather.